Aquamarine Gemstone Chips Bracelet of excellent quality. Beautiful Aquamarine Gemstone Chips Bracelet. For Healing and Reiki or just for its beauty. 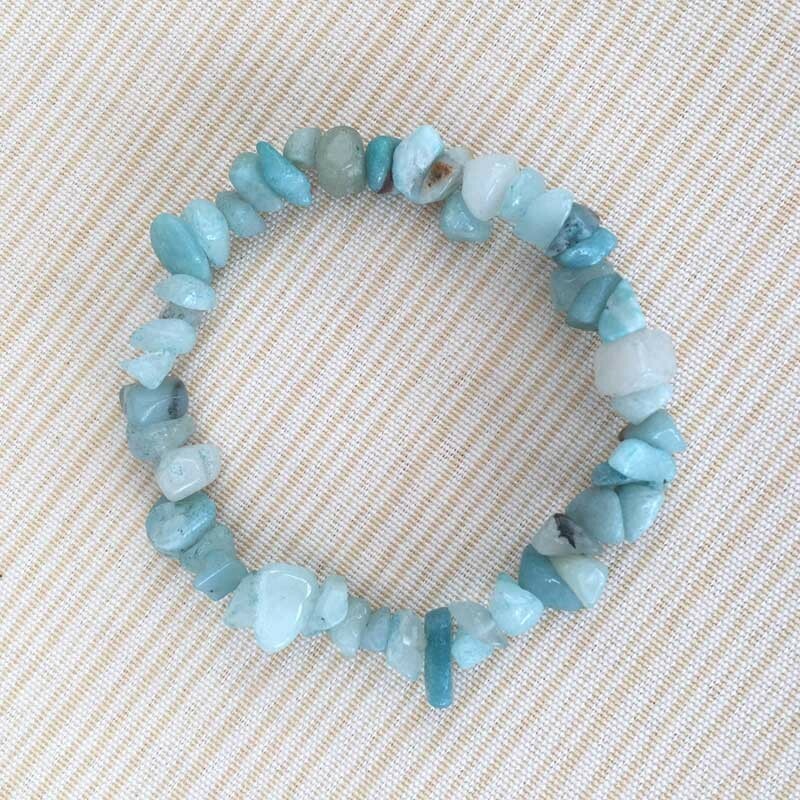 Made from natural Aquamarine stone, each bracelet is totally unique. AQUAMARINE - from the Latin 'aqua marinus' meaning 'water of the sea' that refers to its ocean like colour which is bluish-green. A stone of courage this lovely and gentle gemstone was carried by ancients who believed it would help them return safe and prosperous from all sea voyages. Aquamarine is calming, soothing, cleansing, and inspires truth. Its strongest energies are in opening the psychic and if you are especially sensitive the thoughts and vibrations of other people. Aquamarine is held in high regard by Eastern Mystics and Seers. An excellent stone for use in meditation as it allows us to explore the darkest depths of our souls and come face to face with ourselves.